Lantek and Fagor Automation announce the signing of a technological collaboration agreement allowing Lantek Inside software to be integrated into Fagor’s CNC’s for fiber laser cutting machines. With this step, users will gain in agility, efficiency and productivity, thanks to the operator’s greater control in managing the machining directly from the workshop. 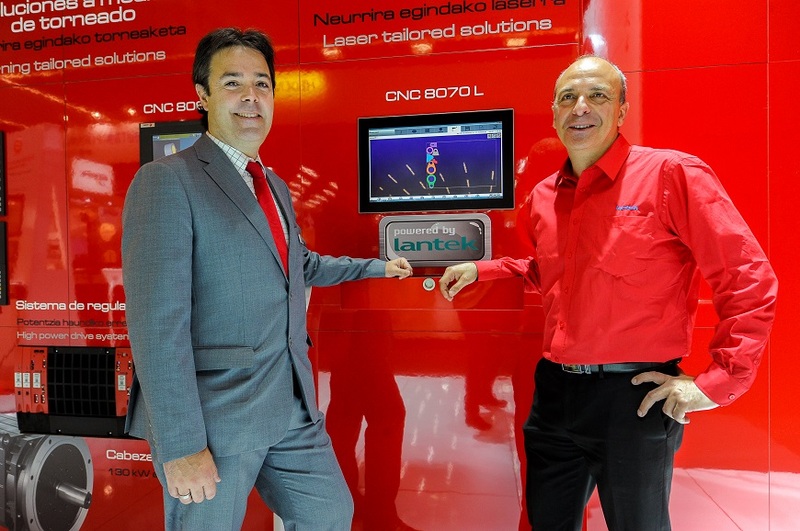 “This technological collaboration with Lantek allows Fagor Automation to make a technological leap in its laser CNC’s, making laser cutting machines easier to use”, explains Iñaki Antoñanzas, Head of Laser Technology at Fagor Automation. Lantek Inside is a solution that, although it has been a part of Lantek’s portfolio for some time now, has been optimized by the company’s R&D&I team to incorporate new and improved features. Highlights include the possibility of editing machining, generating new machining tasks and adding or removing parts directly from the plant floor itself, giving the final operator greater control. This allows for greater versatility when it comes to maximizing the use of material and execution times, reducing response time, making changes from the machine itself and not from the office. Providing the best user experience with its solutions and meeting the present and future needs that the fiber laser machine manufacturers may require, is one of Lantek’s priorities. 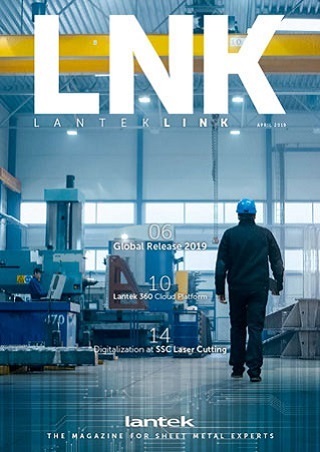 "In this sense, this agreement will allow both the manufacturers of cutting machines and end users to benefit from greater machine-software integration, as well as a much more user friendly and functional man-machine interface " says the Lantek executive, Francisco Pérez. Fagor Automation is a world leader in the design, development and manufacture of automation and machinery control products. Its ability to develop software and the flexibility of its production system to offer customized solutions, depending on the needs of customers, is one of the company’s distinctive features. Historically, Fagor Automation has focused its efforts on the machine tool sector, in which it is one of the world’s leading companies. In addition, it has an extensive sales and technical network present in more than 50 countries, comprised of its own branches and distributors. Fagor Automation is part of the MONDRAGÓN Corporation, the leading Basque business group and the tenth largest in Spain. It is made up of more than 260 companies and entities structured in turn in four sectoral areas: finance, industry, distribution and knowledge (training and R&D centers). It currently has more than 74,000 employees. Lantek is a multinational which is leading the digital transformation of companies in the sheet metal and metal industry. With its patented manufacturing intelligence software, it enables factories to be connected, turning them into Smart Factories. It rounds off its range of services with CAD/CAM/MES/ERP solutions for companies that manufacture metal parts from sheet metal, tubes and profiles using any cutting technology (laser, plasma, oxycut, waterjet, shearing and punching) and other advanced manufacturing solutions.